Shop around for technology that drives the customer experience. You want to deliver excellent customer service. You want a smooth stock transition between the shop floor and the warehouse. You want productive staff. We want all that too. ITEC works with retail enterprises to keep brick and mortar stores on the high street. The Technology Managed Service empowers shops to surpass the online shopping experience by giving you confidence in your technology strategy. You can put the focus back on what matters most: your staff delivering personable customer service and driving sales. The news is filled with horror stories of shop closures because of the rise of online shopping. But the internet doesn’t have to the be enemy. Most shoppers use the internet to inform their buying decisions, even when in a physical store. ITEC gives world-leading, secure WiFi that is designed with reliability and strength in mind. Using multiple routers and access points, we deliver WiFi that gives your shoppers the best connection, regardless of how many people are using the network. If you have a single store with one supplier or multiple branches with warehouses scattered around the country, you need good communications. ITEC’s Technology Managed Service gives your staff the tools to seamlessly move merchandise between locations and into the customers' hands. The Communications tools make phone calls crisp and clear. The Digital Workplace apps allow for sales reports to move between branches and head office, and a PWAN connection securely connects your data. Replicate the online experience with in-store cookies. Using detailed consumer analytics and WiFi, you can personalise the shopping experience for your customers and signpost them to the products they actually want. Not only does ITEC’s service customers find what they need with less frustration, it enables your staff to deliver the outstanding customer service that guarantees return custom. ITEC’s connectivity solutions optimise your network for BYOD and protection from malware. So all your shoppers can use their smartphone while shopping without jeopardising your infrastructure. 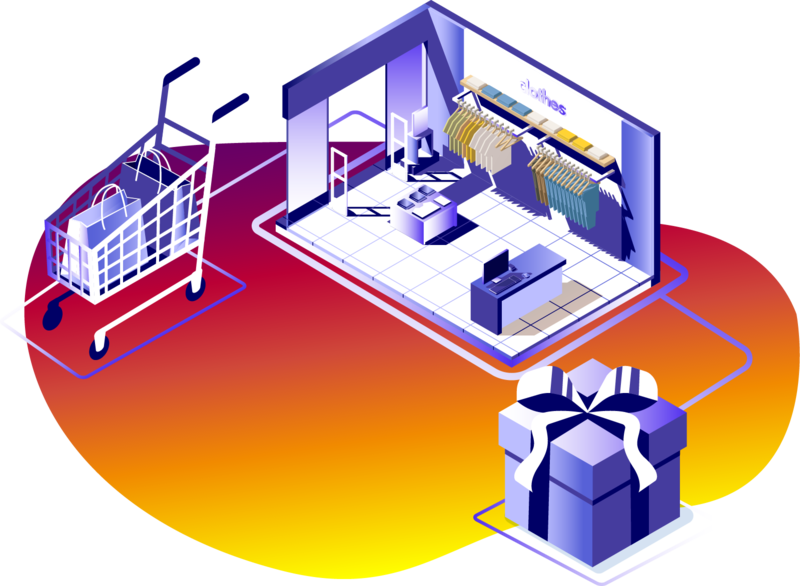 And, with ITEC’s detailed analytics give you actionable insights into your customers, so you can track, measure and personalise their unique shopping experience and deliver superior customer service. We can power your network with the fastest connection in the UK, all so you can provide a seamless experience between staff and customers. With strong connectivity foundation, your enterprise can grow bigger than you ever imagined as all your business technology will have the power and capacity to change alongside future technological developments. ITEC’s Digital Workplace solutions streamline your workflow, increase your productivity and optimise your staff. File-sharing software allows you to seamlessly transfer files between computers and Intelligent Capture software breaks financial documents down into digestible chunks. With ITEC’s Digital Workplace, tracking stock and putting it in customer hands has never been easier. Having ITEC install the latest unified communications technology into your enterprise bridges the gap between your branches. Staff in separate stores efficiently connected, smoothing the transition of stock between locations. More importantly, a strong communication system reliably connects staff with customers, so you can truly solve their problems and deliver excellent customer service. From the humble corner shop to a massive retail chain, there is a lot of data moving between the shelves. We create more space for merchandise in the storage room by moving your data to the cloud. Keeping your important information in the ITEC Data Centres is a more secure storage solution than a rusty file cabinet, and user friendly desktop tools make organising and finding your data faster and easier. Even in the Retail industry, a reliable Managed Print Service is vitally important as analytics, shop floor plans and staff contracts need to be printed. Staff can simply fold a piece of paper and put it into their pocket when helping buyers purchase items and can focus all their time delivering a personalised, one-on-one experience customers will remember.